The controversial Right to Rent scheme requiring landlords to check the immigration status of new tenants is fuelling discrimination and should be scrapped, according to Residential Landlords Association (RLA). Right to Rent, rolled out across England last year, requires landlords to establish whether tenants have a right to be in the country by taking copies of documents such as passports or identity cards. However, it has been suggested by some campaigners that the initiative has left British citizens without passports as well as foreigners at a disadvantage in the private rental market. “In reality the Right to Rent is creating a hostile environment for those who need, and are legally entitled to, housing in the UK but cannot easily prove it. This is causing needless tension and concern for tenants and landlords,” said David Smith, director of policy for the RLA, who would like see what he described as an “unwelcome policy” suspended. The RLA is supporting an application by the Joint Council for the Welfare of Immigrants (JCWI) being heard in the High Court tomorrow for a Judicial Review of the policy. Both organisations argue that the policy discriminates against foreign nationals, especially those, such as the Windrush generation, who cannot easily prove their right to remain in the UK. Smith added: “The Windrush scandal has shown that even trained immigration officers can make serious mistakes. This highlights how inappropriate it is to demand that untrained landlords become enforcers of government immigration policy. Research by the RLA has found that, as a result of the Right to Rent policy, 42% of landlords are now less likely to rent to someone without a British passport for fear of prosecution for getting things wrong. In a recent report on the scheme, David Bolt, independent chief inspector of Borders and Immigration, concluded that the Right to Rent policy has “yet to demonstrate its worth as a tool to encourage immigration compliance” and that the Home Office is “failing to coordinate, maximise or even measure effectively its use, while at the same time doing little to address the concerns of stakeholders”. The hearing comes as the Labour Peer, Baroness Lister, will use a question in the House of Lords on tomorrow to ask about the government’s plans for the Right to Rent in light of the Chief Inspector’s report. Chai Patel, legal policy director at the Joint Council for the Welfare of Immigrants, said: “When asked for evidence that the hostile environment was working, Amber Rudd could only point to ‘anecdotes’. Sajid Javid said there were no measures in place ‘as such’ to evaluate it. We’re talking about the policies that inflicted so much harm on the Windrush generation, and our Home Secretaries are operating in the dark. But even now, the Home Office is opposing the Chief Inspector of Borders and Immigration’s strong recommendation that right to rent be independently evaluated. “The Right to Rent scheme imposes costly red tape on every landlord in the UK, and the government has no evidence it’s working. Meanwhile, landlords themselves tell us it encourages them to discriminate against foreign nationals. Denying individuals the right to rent property only increases the power of exploitative rogue landlords and employers. In what way does a landlord or letting agent checking the immigration status of prospective new tenants create a 'hostile environment', especially when such checks are done on all new tenants? Does a ticket inspector on a train or bus create a hostile environment? Or a school making checks on all new pupils or a GP Practice checking on all prospective new patients? Or banks checking on those applying to open accounts? Or stores asking to verify ages of customers wanting to buy age-restricted products? 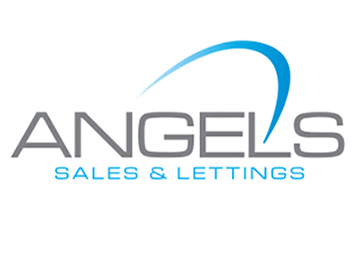 Sorry landlords and letting agents, you have to play your part. Because there's not always a simple, guaranteed way to check. If in doubt, refuse = hostile environment. LAs do not (morally) have to play any part! safest route is, if in doubt don't rent to them, same as a shop or pub selling alcohol would operate. People have been cheated to purchase Cambridge cookers on the website, Bank account is with LLOYDS Bank. We are talking about a giant bank not a small one. The Bank refused to refund the payment but have the fraud accounts. The police could not locate the criminals but the bank have the fraud accounts. The bankers should be fined and sent to jail because they have opened fraud accounts like landlords took the illegal tenants in. It is so unfair and unjust to landlords. Is this a racialism to landlords? We must ask the question! If you want to do something in this world you need a qualification. 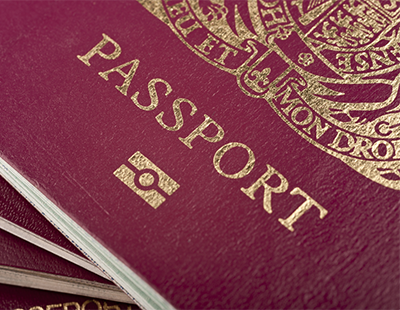 The qualification for living here, at its simplest, is a UK passport. Driving licences are now linked to the passport records so getting a passport should be easier. Get a passport and don't waste other peoples' time and sympathy by moaning about your misfortune. Life in our world always has been and always will be tainted by free loaders and unwanted enemies as well. In the past you just kicked out people who were not wanted and could not speak your language and did not know your religion. Those days are gone and the number of free loaders has exponentially increased. To my mind setting up your legal qualifications to live somewhere is one of the very important things that you have to do. Genuine passport /right of residence applicants should have little trouble if they have the money (which can often be scrounged from a charities). Refugees will have been given documentation when they arrived in the UK. I won't go on. There is no point. If you are a parent then one thing you must do is make sure your child is registered at birth and make sure your child knows the details of this or has their birth certificate. Within the last few months DNA sampling analysis has reached the point where it can be used as an ID document. This is the future for identification and the making of government records. It will also meant that your identity can not be lost. The days of Mr Khan saying he is not Mr Khan and the Mr Khan who is needed is his cousin who has left the country will soon be gone for ever. ( Use whatever name you like for your own nationality). also, does a freeholder of a block of flats have same responsibilities? my freeholder is asking for details but i am not sure if i can divulge that info? ico and eu legislation? DNA is nowhere near as accurate as authorities pretend--and it can be planted.